KEN YUSZKUS/Staff photo. 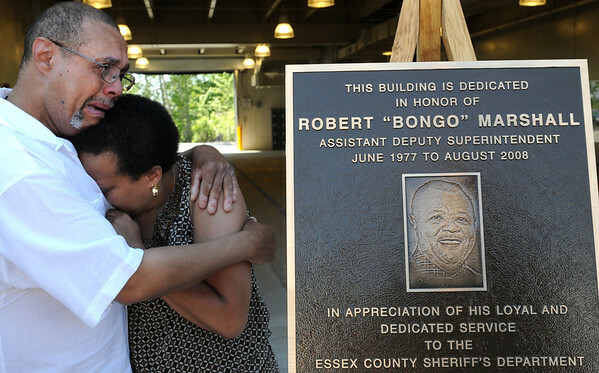 Paul and Brenda Marshall hug during an emotional moment at the unveiling of a plaque in their brother's name at the dedication of the Middleton Jail's new intake center. Robert Marshall's brother David Marshall and Robert Marshall's long time companion Marie McKinnon also were on hand for the unveiling. 6/3/14.